If you are a university student wanting to make your mark in the media industry, why not join Australia’s leading Catholic news team. All our internships are designed to offer students invaluable experience across all sections of the newsroom, from the reporter’s chair, to the marketing whiteboard, and even thumbing through our social media. As a newspaper with a legacy lasting 100 years in Queensland, we’ll help you get ahead in the news industry while you grow in your passion for the job. 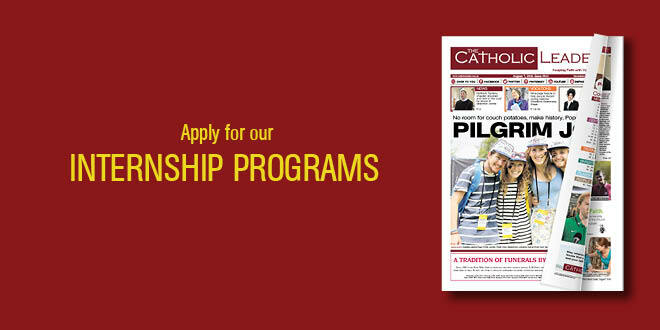 For full details of The Catholic Leader Internship Programs please contact us on editor@catholicleader.com.au or call us on (07) 3324 3555.